Within the Windrush Industrial Park, the site covers an area of 1.4 acres including existing landscaping. It is located on the left side of Windrush Park Road at the entrance to the industrial park. 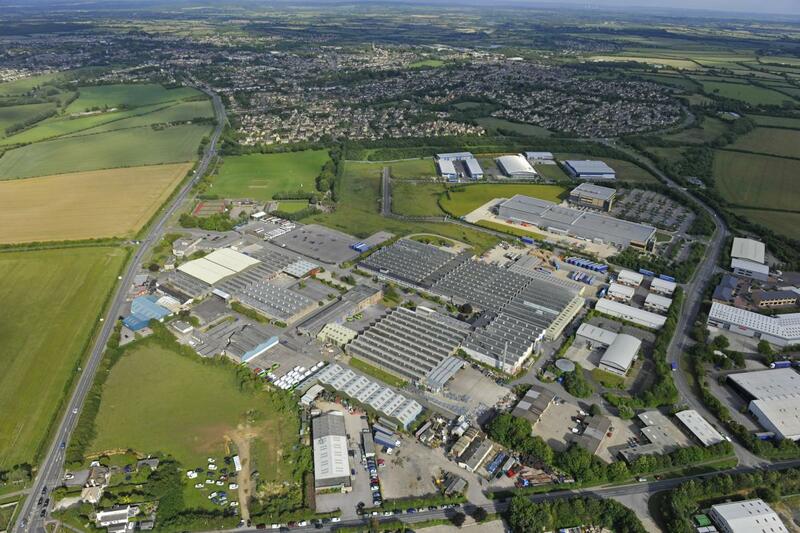 Windrush Industrial Park comprises a 28-acre commercial estate situated within the prime West Witney commercial area. Strategically located on Burford Road, the site provides swift access to the A40 and to Oxford, Cheltenham, the A34, M40 and M4 motorways and is positioned conveniently for access into the town centre. Find more information below or click the button for the website. The proposed design is typical of single aspect industrial units with entrance, offices and goods doors all on one side. Units can be joined or split as required with generous eaves height allowing the insertion of mezzanines. Internally the base specification proposes a small office together with facilities on the ground floor. The mezzanine level above the offices will be designed with windows to the outside, so that it can be used for storage or additional office space. The south facing roof slope is designed to also accommodate solar PV panels. The four individual units will be built to the latest operating and environmental standards and will give occupational flexibility from 660.7 sq metres (7111.7 sq ft) to 2,693.4 sq m (28,992 sq ft) GIA in total. Windrush Industrial Park has established transport infrastructure with several HGV users already located on the Park. The layout will allow HGV forward entrance and exit from Windrush Park Road and reversing on site up to the goods loading doors.